How Does Probiotic & Bacteria Work? The human dietary profile currently seems to be incomplete without the inclusion of ‘probiotics’ due to their enormous health potentials. Accordingly, probiotic products-pills, drinks and yogurts have made it big in the corporate arena. In a recent report in The Week, in 2011 the global sales of probiotics had reached $28 billion and are expected to make $42 billion by 2016. The concept of probiotic was first proposed by Elie Metchnikoff in the early 20th century. Although, the definition of probiotics varied from time to time, the one approved by World Health Organization (WHO) defines it as “live organisms which when administered in adequate amounts confer a health benefit to the host” (http://www.who.int/foodsafety/publications/fsmanagement/probiotics2/en/). 1. Proper identification to the level of strain of all probiotics in the product, with deposit of all strains in an international culture collection. 3. Validation of health benefits in human studies, including identification of the quantity of the microorganism required to provide the benefit. 4. Truthful and not misleading labelling of efficacy claims and content through the end of shelf life. A good probiotic strain should possess one or more of these beneficial properties-immuno-modulation, inhibitory action against pathogens, metabolism, etc., non-pathogenic, resistant to low pH and acids, and ability to adhere to the gut epithelium. Probiotics can be used in the form of dietary supplements either as capsules, paste, powder or granules or directly through the consumption of various dairy products such as yoghurt, curd, lassi and kulfi. 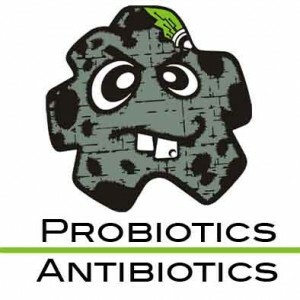 Generally, combinations of strains of Lactobacillus, Bifodobacterium and sometimes Streptococcus species singly or in combinations are used as probiotic bacterial preparations as for example Probacto. The molecular mechanism of the mode of action of probiotic bacteria is still very paltry but they seem to be working in a strain specific and multifactorial manner as is evident from emerging and pre-existing evidences. According to Fuller, the probiotic bacteria can prove to be beneficial in the recipient by antagonistic effects on specific group of bacteria that may be referred to as non-beneficial or pathogenic threby resulting in a reduction of their viable count. One of the factors that results in decrease in number of the undesirable bacteria is the ability of probiotic bacteria to produce antibacterial substances that can specifically kill or inhibit the growth and progression of other groups of bacteria. Perhaps the most important amongst these anti-bacterial compounds are the bacteriocins. Bacteriocins are bacterial peptides that are active against other bacteria (both gram positive and gram negative species) and traditionally bacteriocin production has been one of the traits used for the selection of probiotic strains according to Salminen. In a research work, Ross et al. suggested that bacteriocins can even enhance the innate immunity. Other primary or secondary metabolites of the probiotic bacteria with anti-bacterial effects include siderophores, lysozymes, proteases, hydrogen peroxides, short-chain fatty acids, nitric oxide, etc. which may increase their potential to compete out other undesirable gastro-intestinal (GI) microbes (Servin and Chenoll et al., 2010, 2011). Release of compounds like cytokines and butyric acid (Kailasapathy and Chin, 2000) can exert similar effects. Once inside the host body the probiotic bacteria with their growth potential can compete for nutrients with the other unwanted inhabitants. This objective is achieved by making the environment congenial for their growth with its adverse effects on others. e.g., Production of lactic acid lowers the pH of the system that provides a growth advantage to the L.acidophilus but it can have deleterious outcome on the proliferation and activity of bacteria requiring a neutral or alkaline pH. When the growth rate of the probiotic bacteria is more than that of the others it can easily out-compete them for nutrients. Also, their lower generation time can produce similar effects. Another mechanism for prevention of pathogen colonization on the gut epithelial layer is to compete for adhesion sites. Although, there are conflicting reports of the underlying phenomena behind the ability of the probiotics to be associated with the gut wall. Some researchers like Wadstrom and Ehrmann have found a correlation between hydrophobicity and adhesion to the mucosal surface while others have proposed against it. Many of the probiotic bacteria have highly repititive and conserved large surface antigens that might be involved in mucus binding. Indeed, the most accepted notion is that the carbohydrate-protein interactions are important in this adhesion mechanism particularly when we consider the fact that many of the mucus-binding proteins possess homologous regions with the adhesion domains of proteins such as lectins (Jonsson et al. and MacKenzie et al, 2001 and 2009). According to the studies of Maxwell et al. in 2011, the lactic acid production also aids in the stimulation of the expression of several of the mucus binding genes like MUB, Muc, etc. Another way of probiotic bacteria gaining the upper hand over the general microbiota is its ability to alter microbial metabolism that might involve decrease in activity of key metabolic enzymes. The work of Goldin and Gorbach demonstrated that when human subjects were fed with lactobacillus supplements, the treatment seemingly suppressed the activities of the enzymes 8-glucuronidase, 8-glucosidase, nitroreductase and azoreductase. On the other hand probiotics may increase the activity of important enzymes involved in human metabolism like 8-galactosidase (that would result in the alleviation of lactose intolerance). Probiotic intake may also be benficial to the recipient through immuno-modulation. Results suggest that such alteration in immune response may be due to either/both increase in antibody levels and/or an enhanced macrophage activity. In a study by Ivec et al., strains of the species of Lactobacillus or Bifidobacteria were found to stimulate macrophage activity with a resultant increase in the production of NO and cytokines interleukin-6 and interferon-gamma thereby inhibiting viral infection. In 2011, Habil et al. suggested that probiotic bacterial strains modulate macrophage cytokine production differentially in a strain-dependent manner. Similarly, Probiotics were found associated with antibody mediated immune response by Haghighi et al. With respect to the mode of action of probiotic bacteria this is only the tip of the iceberg and with research on this field in its upsurge many more aspects are yet to be revealed in the future.